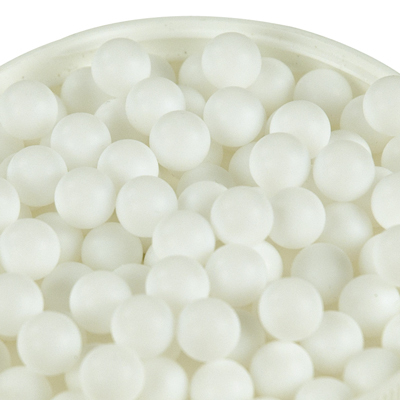 1/4" Chemware® PTFE Balls Package of 100 | U.S. Plastic Corp. Resistant to almost all chemicals. Non-contaminating. For column packing and as mixing beads. Minimizes "bumping" in boiling. Inert to most liquids and vapors; usable to 550°F (288°C). Sold in full packages of 100 balls only.